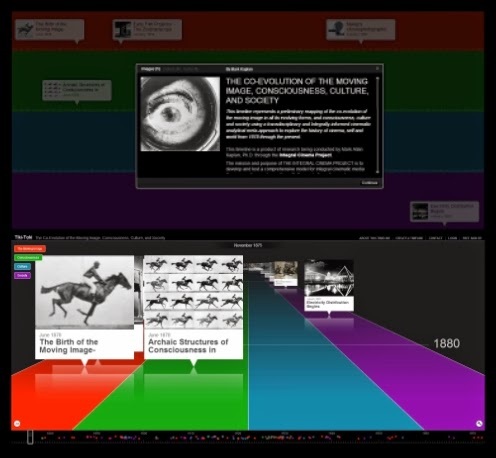 The Co-Evolution of the Moving Image, Consciousness, Culture, and Society Interactive Timeline represents a preliminary mapping of the co-evolution of the moving image in all its evolving forms, and consciousness, culture and society using a transdisciplinary and Integrally-informed cinematic analytic meta-approach to explore the history of cinema, self and world from 1878 through the present. The current version includes a high degree of mapping from 1878 through the silent and early sound period with ongoing mapping taking place from the early sound period on. Preliminary research suggests that the moving image in all its evolving forms, including movies, television, and video games, act as co-evolutionary catalysts for the development of individual and collective consciousness, cultural worldviews, and social change. 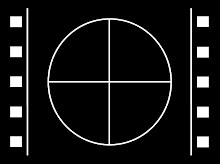 In addition, it appears that the moving image medium itself goes through evolutionary cycles of the embedding of structures of consciousness from archaic to magic to mythic to rational to pluralistic to integral cinematic structures; with the recycling of this evolutionary cycle as each new form emerges. For example, the silent film era begins at archaic and peaks at integral, then with the introduction of sound, the medium appeared to revert back to archaic forms momentarily before progressively cycling through these stages of consciousness again, but this time with the sound film form.